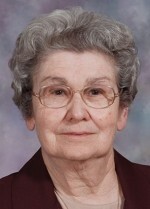 Sister Joella Francis Campbell, O.S.F. Sister of St. Francis Joella Francis Campbell, 89, died Nov. 15 at Assisi House in Aston. She was a professed member of the Sisters of St. Francis of Philadelphia for 68 years. Sister Joella Francis (Theresa Mary Campbell) was born in Media, where she was a member of Nativity B.V.M. Parish and a graduate of Notre Dame High School in Moylan. She entered the congregation in 1945 and professed her first vows in 1947. Her sister, Sister Marie Francine Campbell, is also a member of the congregation. Sister Joella Francis’ 53 years of service in the Archdiocese of Philadelphia included teaching at St. Bonaventure School, St. Benedict School, St. Alphonsus School, Resurrection of Our Lord School in Chester, Our Lady of Perpetual Help School in Morton, St. Elizabeth School, All Saints School, St. Mary’s School, and Nativity B.V.M. School in Media. Sister Joella Francis also taught in the Diocese of Allentown at SS. Peter and Paul School in Lehighton and Most Blessed Sacrament School in Bally. In 1993 she moved to Springfield where she worked in the Studies Office for 16 years. In 2009 she moved to Assisi House where she served in prayer ministry until her death. Her funeral Mass was celebrated Nov. 18 at Assisi House. Burial was in Our Lady of Angels Cemetery in Aston. Sister Joella Francis is survived by her sisters, Kate Kane and Sister Marie Francine Campbell, by her nieces and nephews, and by her Franciscan family.